Long layover in Addis Ababa? Take a city tour! Most transit visitors' concerns are hotel, transportation and layover tours. 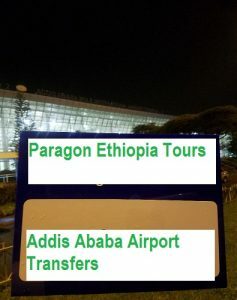 If you build Addis Ababa layover into your trip, then your favorite site to go to should be ParagonEthiopiaTours.com for your sightseeing tours of the capital. That's because we have several optional itineraries which help one to explore the city and make the most use of his time. Don't go to the hotel concierge or the tourism information desk at the airport. Just visit Paragon Ethiopia Tours' website. Our Addis Ababa layover and transit tours primarily include wildlife safari and nature attractions around Addis Ababa, and the historic and modern features of the city. They also include driving through the most important streets in downtown where you will have a chance to see places that have colonial influences and, more. If you are looking for the most ethnically diverse city in Ethiopia; that is it. We will make your transit tours memorable ones. Which Addis Ababa Layover tour you would like to book now? Turn your Addis Ababa Airport layover Tours into fantastic mini-vacation. We are pleased to help you get there and do Addis Ababa Airport transit tours or Addis Ababa city tours to explore the city by planning your trips. Your tour begins, from the moment of our meet and greet services at the airport. Why Addis Ababa Airport private layover tour with us? You can get the following advantages by booking your private Addis Ababa layover tour with our company. You will take the tour the way you want it, we help you create your customized trip itinerary by suggesting activities which you have not considered or thought about. You can schedule your tour for when it works fine for you. We have pamphlets which we can hand you upon arrival for Addis Ababa transit tours if you have not booked your layover tour yet. We are sure that Ethiopia will be really in your list to go back and visit. Layover time needed: You can discover the best of Addis Ababa in 5 hours, 8 hours, 16 hours, 24 hours, 48 hours, and 72 hours. What to see: Museums, historic churches, wild animals, botanical garden, and important monuments and statues. Tour schedule & information: We offer several layover tours to choose from with recommendations based on the layover time you have available. Price: Starting from $73 depending on the layover tour. Our layover tour packages include meeting you at the airport, entrance fee for all sightseeing, price of guide, government tax and bringing you back to the airport. Luggage: We allow you to bring your luggage with you while you are on your layover tours with us. This Addis Ababa layover sightseeing tour covers Mt. Entoto, the Ethnographic Museum of Addis Ababa, and the National Museum of Ethiopia. Set at the outside of the city of Addis Ababa, is Mt Entoto which is a very well preserved area and where one can enjoy a breathtaking air there. It is also a good point to see the panoramic view over the city. The richness of diverse material cultures and ways of life. It was constructed in order to house archaeological finds from all over Ethiopia, Ethiopia’s artistic treasures, objects from ancient and medieval periods, collection of arts and crafts, and ethnographic display. Then drive to Mt. Entoto to admire scenic views and a great view of the city if you are hiking enthusiasts. You will do your last minute shopping as time permits. Finally, be transferred to the airport to catch your international flight. This tour last about 8 hrs long. After pick up from Addis Ababa Bole International Airport, you will do your layover city tour according to the below time wise itinerary. Addis Ababa is a great place to visit with rich history and attractions. If you have a long layover it is easy to get around, spend a few hours, come back to the airport and get your connecting flight. This layover tour with Tour Code PETLT 02 allows one to explore museums, national forests, and/or wildlife safari both in and near Addis Ababa. The National Museum of Ethiopia is a world-class museum. It is truly a hidden gem. On display collections offer artifacts span thousands of years including some from its earliest days of Ethiopian civilization as it is one of the oldest in the world. At this museum, you can also find out the artifacts such as potteries and jewelries and customs that belong to the people of Ethiopia. It’s really pretty fantastic to explore this museum. The most famous and precious exhibit at this museum is a fossilized partial skeletal remains of early female hominids. One of the major attractions at the National Museum of Ethiopia is Lucy. She is 3.2 million year old. The Ethnological Museum of Addis Ababa is easily one of the finest museums in Africa. You can visit a key representation of traditional life primarily in rural Ethiopia, jewelries, traditional costumes from all over Ethiopia, and many more ethnographic objects. The Born Free Foundation Ethiopia is a wildlife organization identifies vulnerable animals forced to live poorly conditions. At this organization, one can see rescued lions, cheetahs, tortoises, and many more wild animals. One can explore leopards, colobus monkeys, baboons, four endemic and more than 180 species of birds and several other types of wild animals while he is at this dry Afromontane forest. The area is also an important water supply for the Awash and Blue Nile Rivers. The best time to visit this national park is between October and May. Pick up for your Addis Ababa layover tour is after your arrival at the airport. Since you will be trapped in your seats in your flight for several hours, we mostly recommend our customers do something besides sit during their layovers. After pick up from the airport, you will drive to the National Museum of Ethiopia which houses several archaeological artifacts dating back to the prehistoric period. In this site, you will visit Lucy, the oldest fossil remains of early human ancestors and the most famous exhibit in this museum. This museum roughly takes 45 minutes to visit. The next drive will be to the Ethnological Museum of Addis Ababa where you will have a chance to see several historical paintings, and a different set of historically and culturally important pieces. If safaris are very high on the list of your priorities, you will drive to the Born Free Foundation Ethiopia (35km) west of Addis Ababa or drive to Menagesha Suba Forest National Park (30km) southwest of Addis Ababa to see wild animals. After you finish your tour you will be transferred to the airport to catch your connecting flight which marks the end of your layover tour. If you prefer to meet us in the city, rather than at the airport, we will meet you at the time and place of your choosing; maybe in your hotel lobby or any other location that you prefer. The following information are important for us to book your layover tours. Number of people on your tour. How long would you like to tour for? Date of arrival in Addis Ababa. Arriving airline, flight number and time. Date of departure from Addis Ababa. Departing airline, flight number and time. Any special interests or requirements. The prices of our airport layover tours varies depending on the tour times. Quotations will be available on request according to your shedule. Do I need a visa to take a layover tour? Yes, you do need visa to enter Addis Ababa. And you can obtain your transit visas upon arrival at Bole International Airport. Yes, passengers are able to bring their luggage with them onboard the tour vehicle. If your luggage requirements is huge, please let us know its details and we will be more than happy to advise accordingly. Guides and vehicles are arranged in the order clients book their tours, and if we receive many requests in advance for a particular day layover tour, it sometimes happens that no guides and vehicles are available to confirm the tour. The best time to book is up to 10 days before the date of the tour. We recommend you book the tour as soon as your travel plan is finalized.